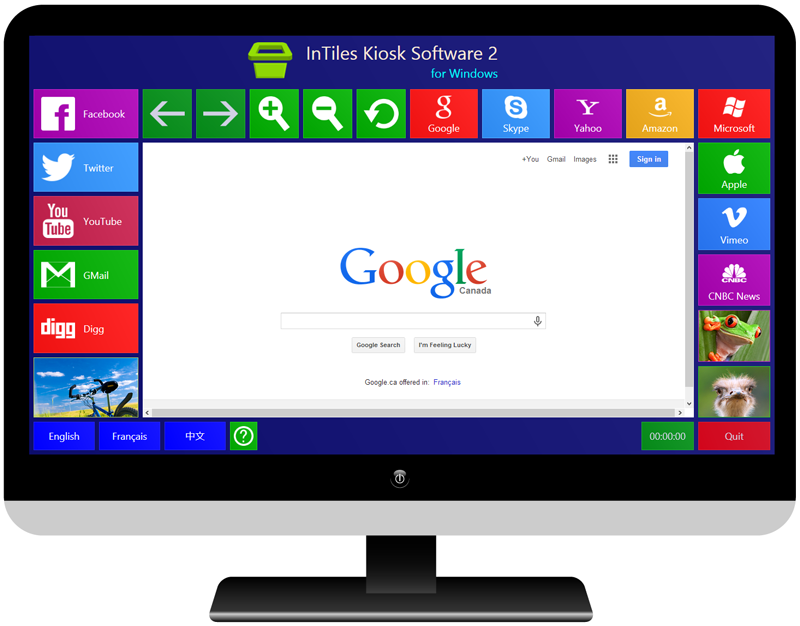 InTiles turns a Windows PC into a secure public access Internet kiosk. 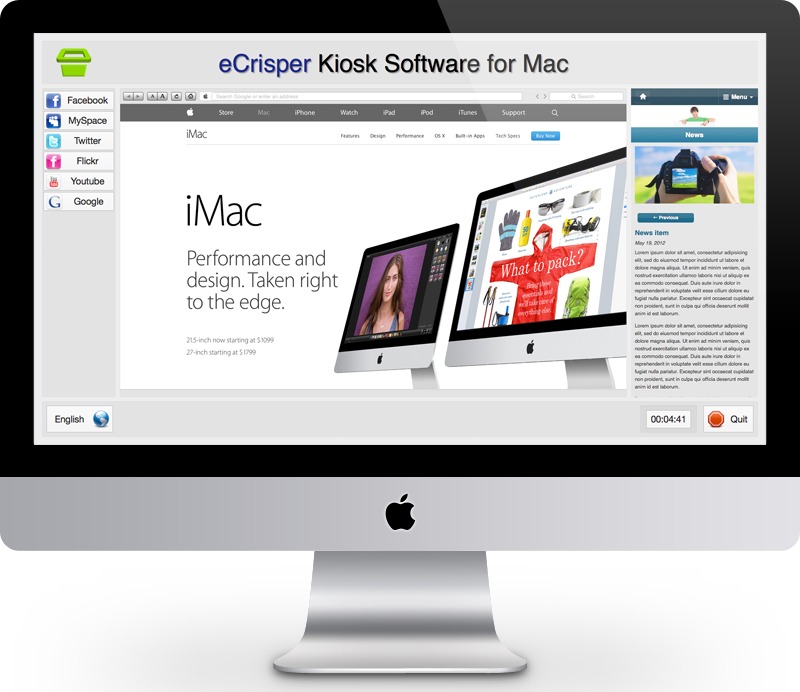 eCrisper turns a Mac computer into a secure public access Internet kiosk. 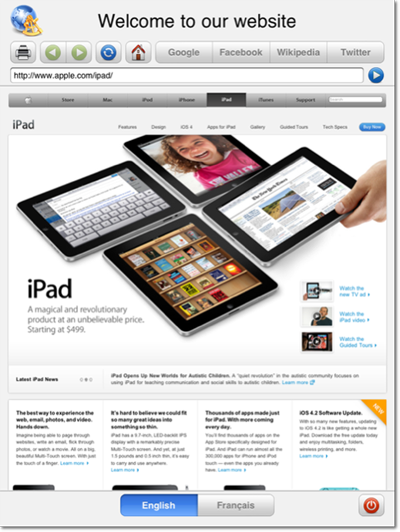 eCrisper version iPad is a fullscreen web browser designed to use an iPad as a public access Internet kiosk. It has some unique features which are very much appreciated like the main title, logo, bookmark buttons, and languages.